Fully revised print content. Features more than 225,000 definitions, 10,000 new words and meanings and 700 illustrations. Includes easy-to-install Windowsï¿½/Macï¿½ CD-ROM and free one-year subscription to the new collegiate website. Thumb-notched edition with jacket. 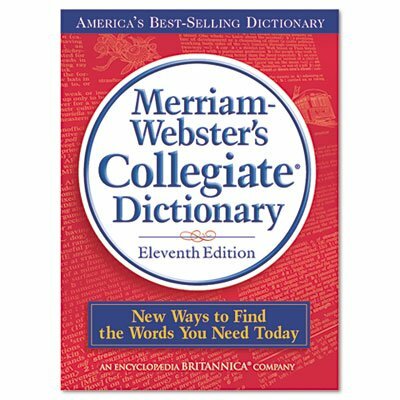 Features more than 225,000 definitions, 700 illustrations and more than 10,000 new words. Includes easy-to-install Windowsï¿½/Macï¿½ CD-ROM and free, one-year subscriptions to the new collegiate website. Thumb-notched hardcover edition with jacket.